We’ve come a long way in 11 years. Our ever popular multi purpose balm made with organic ingredients. I have so enjoyed the stories you all share with me, over the years, about how Sweet Stick solved your problems. From chapped lips, to diaper cream, It can be literally used for just about anything. 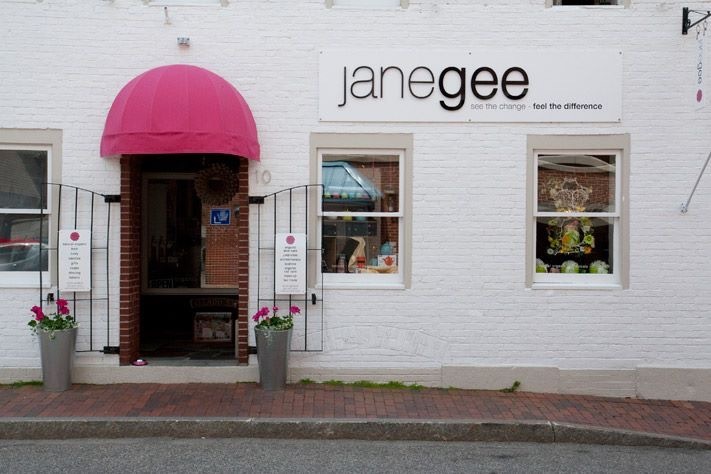 I truly cannot believe that is has been 11 years since janegee was born, and that one little product hit the shelves. I have learned a lot over the years, and now have over 100 SKUs in the store. Every single one of my products was inspired by a need someone has had. Clear skin for an employee with cystic acne, Dry Shampoo for my niece who hated the commercial products available, hair oil for my daughter Sophie whose hair was suddenly thinning, and so on! Each time a new problem or concern arises, I find myself in the lab. We never seem to stop developing new products! My team and I are constantly working on new recipes and formulas, and are just about ready to launch our all natural deodorant and toothpaste. All because you asked! I never intended to develop a skin care range it just grew out of necessity. I wouldn't have had it any other way. My brand has truly been a collaboration between me and my community. Such a wonderful thing! 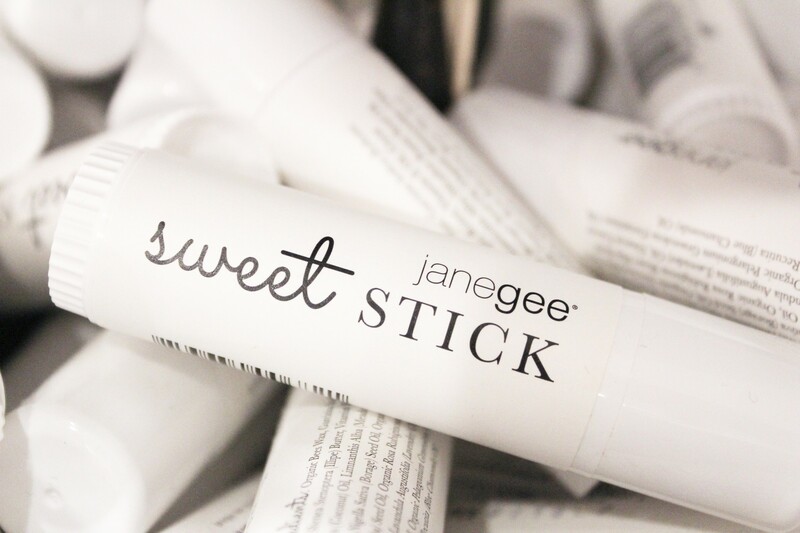 My intention was to work with one product - Sweet Stick and grow it online.. well something wonderful happened on the way. My endless curiosity and desire to be of service has driven the brand and keeps me moving ahead. I remember signing the lease on my first store with a dream to produce organic natural products and curate items to support other women in business. Little by little I started growing my brand. I developed products for myself, for family, and for friends. Who remembers the original packaging? The entire time I kept one goal in mind: keep it simple, keep it pure. I refused to have even a single product containing synthetic chemicals on my shelves. 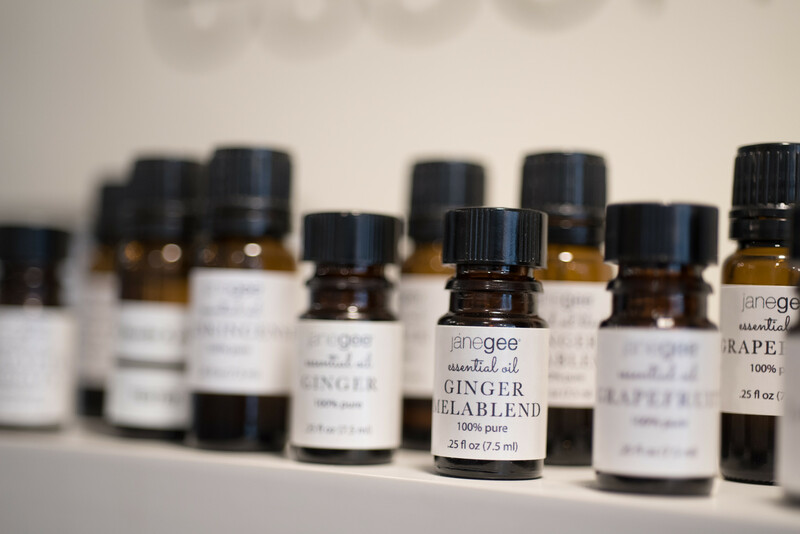 I only use the best quality, natural ingredients in all of my products – that includes plant essences, clays, and minerals. I believe that nature has an answer for almost everything. The store needed variety and I wanted the opportunity to support other women, so I started to collecting items from other brands. Even today, the brands you see around the store have amazing stories of their own. Many of them created by women. 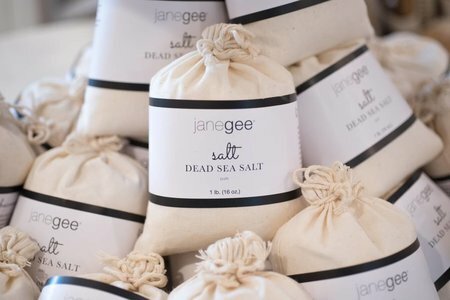 I love the curated collection of beautiful items we have representing janegee. I hope you love them to. 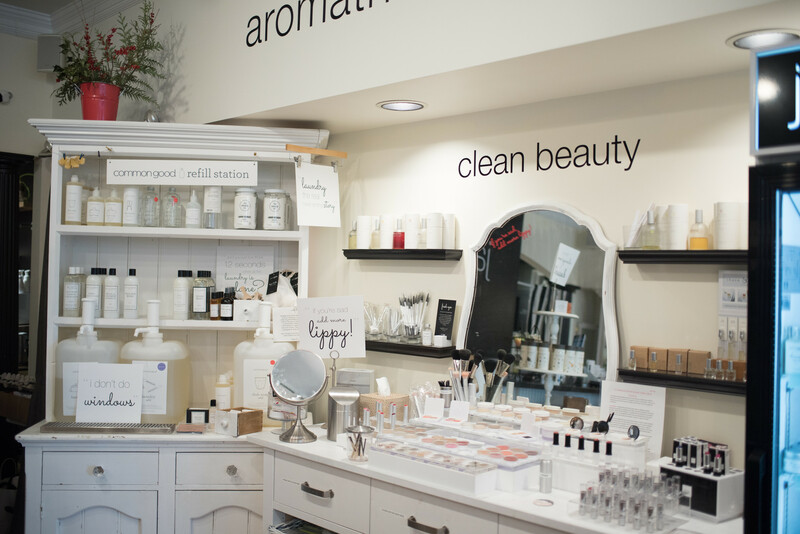 We’ve expanded to a larger space, both in our retail store and our factory. 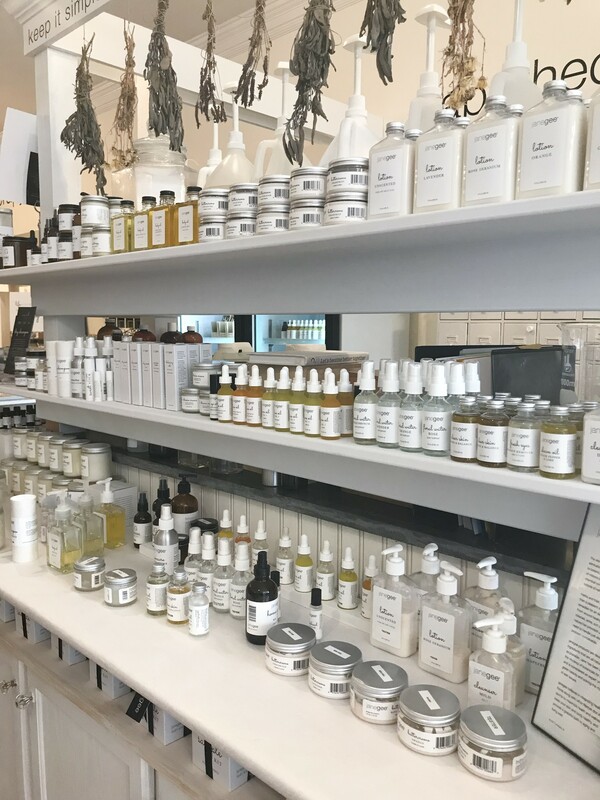 We now have a full skin lab where we offer facials,full-body waxing, eyelash and brow tinting, and massage, as well as manicures and pedicures (and more!). Our team has grown to include a strong group of individuals to help educate and spread our mission. 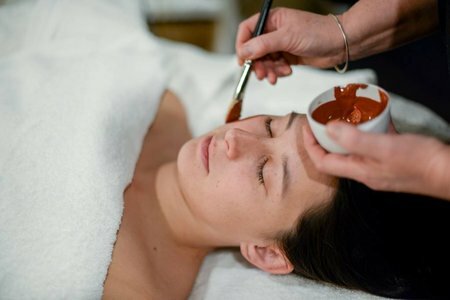 Each one is extremely talented to provide a wonderful, spa-like experience each time you visit. I started making these products in my kitchen. 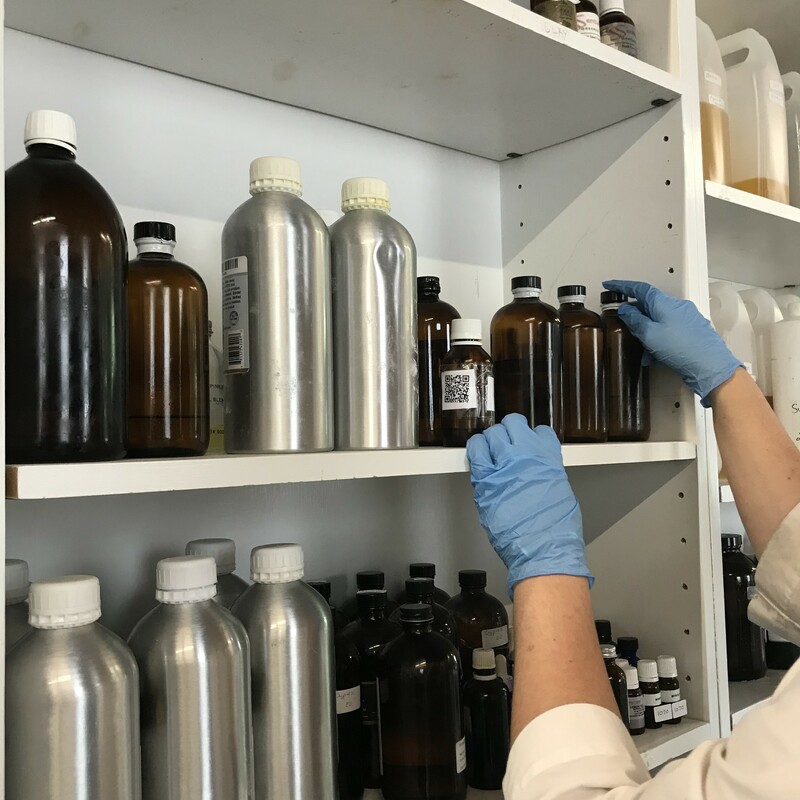 We now have a factory space where we work with two amazing women who are able to keep up with the high demand for products. It’s amazing to look back and see how far we’ve come. We couldn’t have done it without you. You’ve inspired products, our growth, our services, and our desire to keep going. I can’t wait to see where we’ll be in another 11 years. Thank you for supporting us and our mission to empower women and men. It’s important to us that people learn how to properly care for, manage and learn to love their own skin. Now that’s a beautiful thing!